At Petalfox, our mission is to help you curate a more intentional space to dream, make and do. We asked some of our friends to tell us about some of their must-have desk accessories or emergency drawer stash for the summer. If you haven't tried scheduling a "walking meeting", you should give it a go. 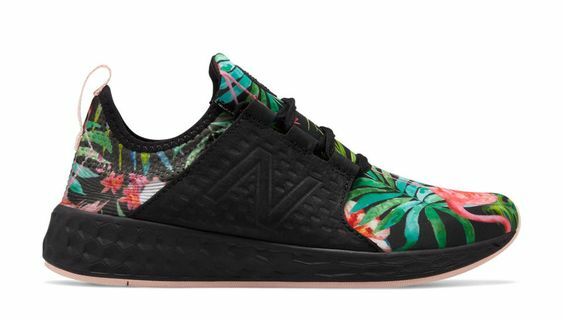 Store a pair of kicks in the bottom desk drawer (like these gorgeous New Balance Fresh Foam Cruz Paradise), so you can wear your "look good" shoes inside and your "feel good" shoes on the street. In addition, taking a 20 minute walk is alternative to that afternoon coffee or brain break from the creative churn. Recommended by Kate McAndrew, Associate @ Bolt. While summer months bring us coveted sunny weather, they can also often bring an escalation in the office thermostat war and sweaty commutes. If you have given up traditional antiperspirants, or are considering an aluminum-free alternative, you should give Native deodorant a try. This product has been recommended to us by so many friends! If you run out of your fancy [Read: $$$$] travel size face cream or toner, these are great desk drawer back-ups. Refinery29 Beauty Editor, Tara Rasmus, writes this delightful recommendation (warning, circa 2013 😱). While you're in Trader Joe's, The Rose Facial Toner is a brand new item. It was recently reviewed in an article titled "My Stubborn Acne Refused to Clear Up — Until I Tried This $4 Spray From Trader Joe's" by a trends editor, Brinton Parker at POPSUGAR. We'd like to mention that we've noticed that the last ingredient is "fragrance" - a generic ingredient term creating some controversy in the beauty industry. Recommended by Kelly @ Petalfox. I am a sucker for paper goods, so when Joanna from Point+Shoot Co. told me about her obsession with the notebooks from Leuchtturm1917, I knew we would be fast friends. 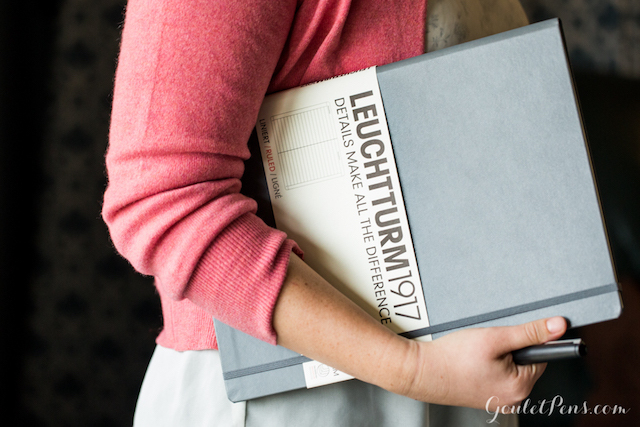 Recommended by Joanna Gryfe, Founder @ Point+Shoot Co.
And as for Leuchtturm, their tagline says it all, "Details make all the difference." Look forward to getting one (or several) blog posts specifically about notebooks in the future. Possibly, co-written by Joanna ☺️. My East Coaster / West Coaster coaster(s) - keep me thinking about my family on the East coast. My motivation for working so hard is so that I can have the flexibility to be with family when I need to be. AND reminds me to stay hydrated - if I can see it...that means there isn't a glass of water on it!" 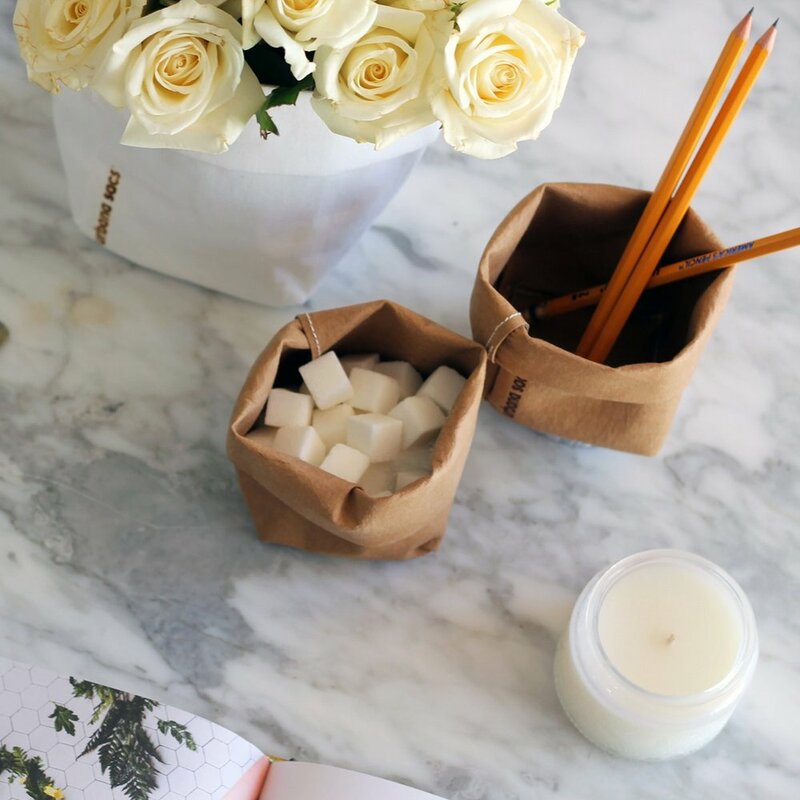 Petalfox floral subscription delivers blooms to your desk or door weekly, monthly or anything in between. Each week, we curate a new arrangement that ships each Monday. Once you sign up, you can get, gift or skip your flowers anytime. Recommended by the Team @ Petalfox 🌸🦊. About Urban Sacs: Harvested through cultivation not deforestation, the sustainable lightweight material used in Urbana Sacs is infused with a variety of virgin pulp fiber blends and recycled polyester felts. Individually handmade in Los Angeles with washable paper fabric, our sacs have been designed so that you can cuff and shape them to suit your needs. Like fabric, it can be washed and reused over and over again. My mom always used to say "a place for everything and everything in it's place". This unisex valet tray from the Small Batch Supply Company is perfect for gathering all the little miscellaneous bits around your desk and giving them a little home. Or use this as a desktop "drop zone" for your keys and sunglasses (that never make it back into the case). A friend recently told me about Unsplash, a website for wicked wallpapers. I like to think of them as a little window into another land where I can escape for few minutes during my day to find creative inspiration or mini daydream. Recommended by Kelly @ Petalfox via Jared Saunders @ TOBE Agency 🙌. Have a favorite summer playlist? We're always looking for good music recommendations! Send to us hello@petalfox or leave in comments below 👇.